MALAYSIA AIRLINES, AIRASIA, FIREFLY and MALINDO AIR operate daily flights from Kuala Lumpur to Kuala Terengganu. Once in Kuala Terengganu, you may take a cab or our shuttle bus services from SULTAN MAHMUD AIRPORT to Shahbandar jetty, in order to catch our exclusive ferry to the resort. Kindly take into consideration of our boat schedule while arranging your transportation as our daily boat transfer is only twice a day. We recommend you to take the earliest flight from Kuala Lumpur to Kuala Terengganu, and evening flight from Kuala Terengganu to Kuala Lumpur. 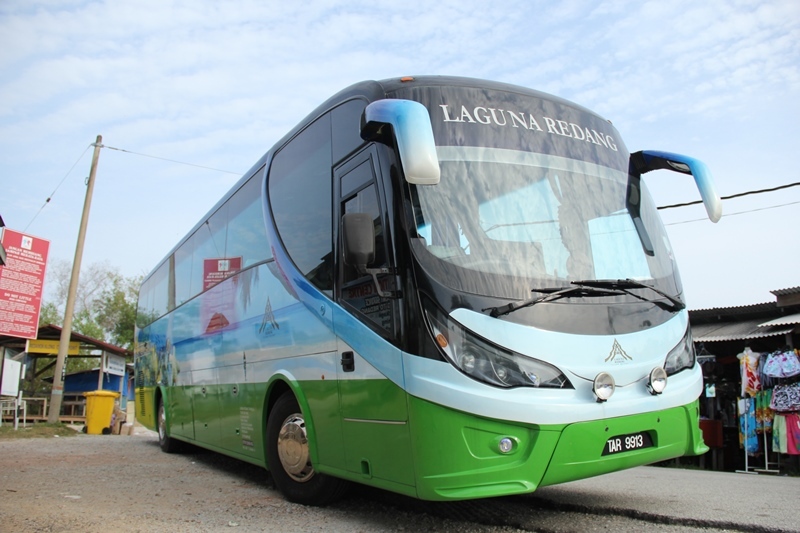 Express buses and outstation taxis offer regular services from Kuala Lumpur to Kuala Terengganu. The trip takes about 6 hours and covers about 459km. Once arrived at Kuala Terengganu bus terminal, you may take a cab or our shuttle bus services to Shahbandar jetty in order to catch our exclusive ferry to the resort. For guests who are driving, you may take the East coast highway route towards Kuala Terengganu, which takes approximately 5 hours and then continue towards Shahbandar Jetty (GPS 5.3375, 103.137), which is located in Kuala Terengganu town centre. * Kindly take into consideration of our boat schedule while arranging your transportation as our daily boat transfer is only twice a day. We operate a scheduled boat transfer service from Shahbandar Jetty, Kuala Terengganu to the resort everyday. Around 1.5 hours boat ride without stopovers will take you directly to Laguna Redang Island Resort, doorstep to paradise. We offer airport, bus station or hotel pick up services for your convenience. Arrangement is needed in advanced for airport or land transfer services.